What version is this screenshot from? Found this online. Seems like Charlottetown, but it doesn’t have the shopping cart to the left. Even the earliest pre steam beta with beta boundaries I’ve seen on video has the cart. this was probably like in early stages where it didn’t have the shopping carts so maybe the version is like private alpha/beta? It looks like Unturned Antique, which was quite a long time ago. 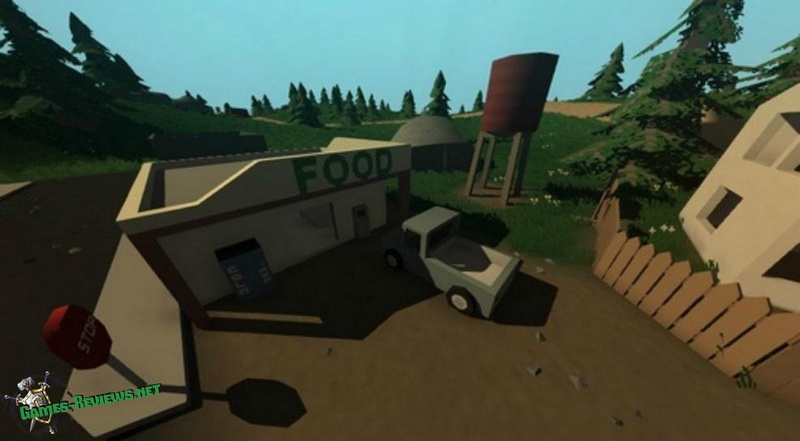 PEI was introduced in Unturned 2 (Classic) Pre-Steam, being at first only the Kensington Campground and maybe the Charlottetown. Zoom in on the car windows, you can see inside the car, so it’s classic. Also the fact that the lighting looks better than antique. Also I’m the background there might be a farm in the distance. maybe its a pic of the development of 2.0 and wasnt a released version? I think that’s a WIP screenshot in Nelson’s old blog site used as a sneak peek to show us what the game (Classic/2.0) looks like before it was playable. I am not 100% sure. That’s what I remember.